Here is the copy of the review I did for Nina Nesbitt’s debut album for Source Magazine. Peroxide is out now. What to expect from an album named Peroxide? Something a bit brash, a bit obvious? A bit too much? In fact the result is the exact opposite; acoustic and upbeat, Nina Nesbitt’s long-awaited debut album is unpretentious pop at it’s best. The Scottish singer made a name for herself at 16 after catching the eye of Ed Sheeran, going on to support him on three arena dates before beginning to gig solo around the UK herself. Like Sheeran, she has attracted a loyal fanbase (the self-proclaimed ‘Nesbians’) from singing catchy songs about the joys and pitfalls of teenage life. Her energetic and euphoric anthems have the foot stamping appeal of KT Tunstall with a pinch of Katy Perry’s wit and charm. Peroxide begins with her best known singles Stay Out and Selfies, getting the album off to an energetic start and introducing Nina as the perfect playful popstar, singing soulfully about kissing strangers and the mysteries of adulthood. Not one to sit back and let the catchy riffs and toe tapping rhythms speak for themselves, Nina’s snappy lyrics take a shot at everyone from overconfident teenage boys “who think they’re gangsters, when they’ve barely started sixth form” to mini-skirt clad girls dressed like “they’re in Barbados, outside it’s minus three”. Nina’s menacing observations continue in tracks like Two Worlds Away where she huskily sings of working away in clothes shops by day and drinking under bus stops by night. While there is nothing new or groundbreaking here, Nina proves that sometimes a strong voice, an acoustic guitar and a whole lot of talent is all you really need. Her shamelessly poppy tracks are both honest, accessible and the perfect antidote to the soulless manufactured hits churned out by Miley and co. Songs like Selfies, Mr C and Back For More are typical teenage anthems, cheeky and charming in equal measure, but those over 21 will be left wondering what all the fuss is about. According to Nina, “The world began in 1994″, an idea that resonates throughout the album. However as Peroxide progresses away from her wise cracking, feet stomping chants, the pared back ballads suggest a subtle maturity beyond her years. Nina leaves the best till last: The Hardest Part is undoubtedly Peroxide’s standout track and, according to Nina, her personal favorite from the album. Here her vocals are laid bare accompanied by only an acoustic guitar and stellar lyrics, proving Nina can hold her own both as a songwriter and a singer. Such a strong final track suggests big things are ahead for Nina but for now she seems happy enough to provide the sound for young Britain, living her very own teenage dream. 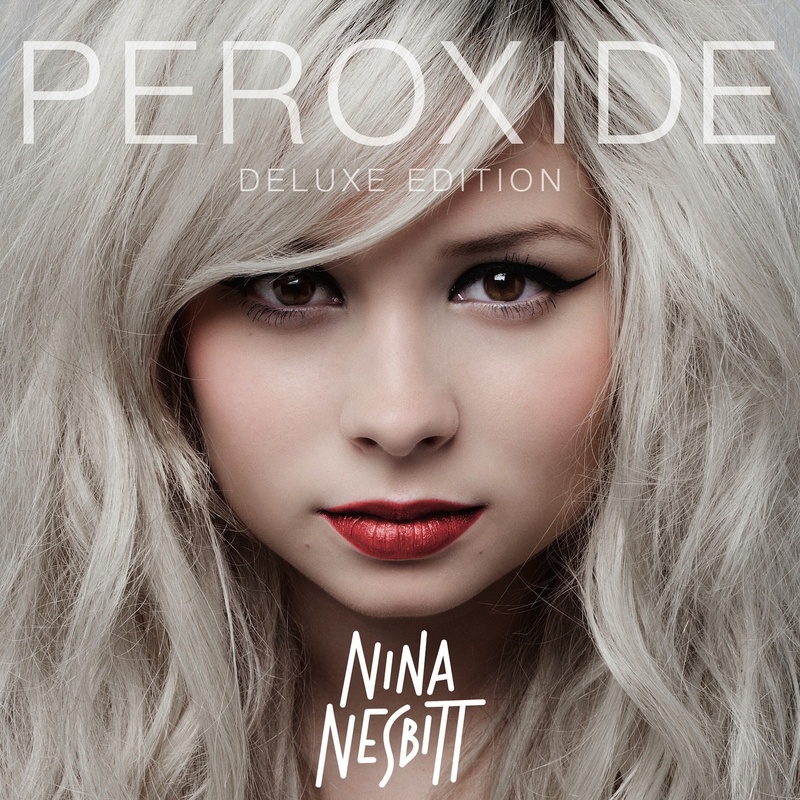 This entry was tagged Album, Nina Nesbiit, Peroxide, Review. Bookmark the permalink.